(BEAVER FALLS, Pa.) – Geneva College announces establishment of a local chapter of the Alpha Sigma Lambda National Honor Society, which partners with colleges and universities to celebrate the scholarship and leadership of adult students in higher education. Geneva’s chapter, Tau Alpha, will host its first induction ceremony in spring 2019. Induction into Alpha Sigma Lambda provides instant recognition by peers from institutions nationwide and conveys another point of distinction to showcase to employers and graduate programs. Criteria for induction are established by the national office and includes: being enrolled in first baccalaureate degree, completion of 24 credits in academic major and earned a career GPA in the top 20% of the class. Geneva Adult Degree Program students will be notified by the Department of Professional and Online Graduate Studies in January 2019 of eligibility; no application is necessary. Students inducted into the Tau Alpha chapter are recognized at graduation and receive a special stole to wear at commencement. 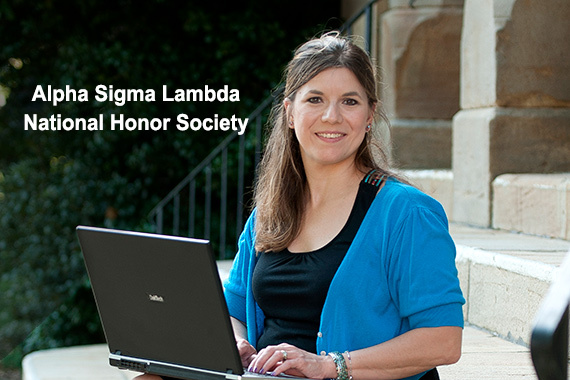 Additional information about Alpha Sigma Lambda National Honor Society is available at: https://www.alphasigmalambda.org/. Geneva College is a Christ-centered academic community that provides a comprehensive education to equip students for faithful and fruitful service to God and neighbor. Geneva offers over 115 traditional undergraduate majors and programs, fully online bachelor’s programs designed to be attainable for busy adults, and an array of high-demand graduate degrees in both classroom and online formats. Geneva’s programs are recognized for their high quality, with U.S. News & World Report ranking Geneva as a Top Three Best Value Regional University, and as having one of the top undergraduate engineering programs in the nation. Adhering to the truth of Scripture, a Geneva education is grounded in God’s Word as well as in a core curriculum designed to prepare students vocationally to think, write and communicate well in today’s world.